I want to say that summer has just flown by, and I can't believe it... but to be honest, I'm one of those moms who's looking forward to the school year starting again. The routine of it keeps my home calmer... sure I'll miss the freedom of summer... but only because I'll be relaxed in my daily routine! 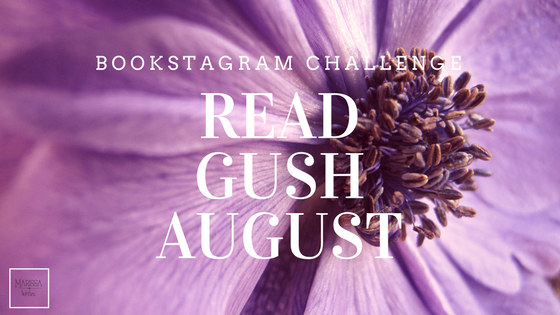 Anyway, all that to say that it's time to share the Bookstagram challenge for August! I'm pretty excited about this one... we are throwing in a ton of days to give your fellow instagrammers shout outs - and the community there is great for shout outs. 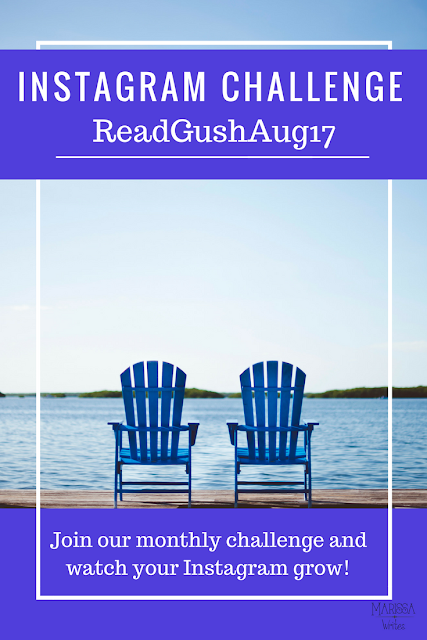 We had a ton of new participants this month, and I hope even more will join in for August. We are going to have a paper star day... and of course our book folding day, so be sure to check out the instructions are on the pinterest board as well. So prepare now! We also have a few game days - you are welcome to come up with your game, but if you want to join in ours, remember to point out that there is no repeats! Feel free to jump in and out of the challenge if life gets busy, we completely understand. I hope you will join in... just follow me on Instagram and check it out! And please follow my lovely co-hosts - they are super sweet, you will love them, I promise! 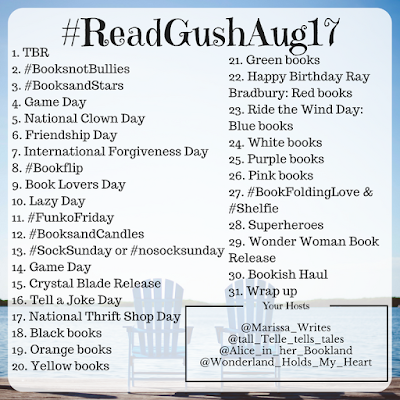 TBR - What two books do you most want to read this month? 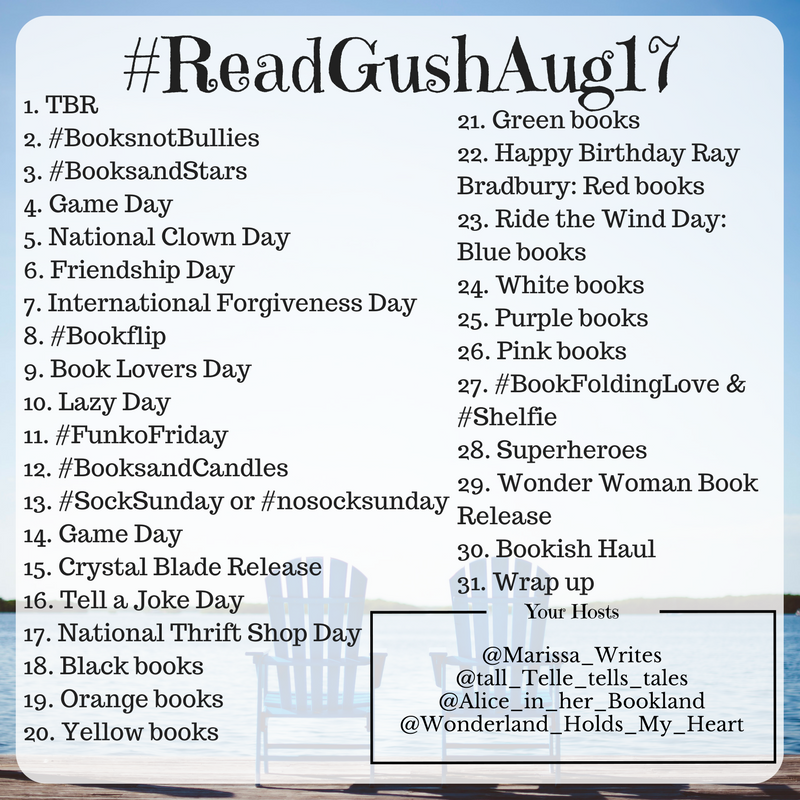 National Clown Day - Share those circus books! #Bookflip - you know this is for Natelle right? Flip those books! Book Lovers Day - let's fill bookstagram with amazing book spirals of the books you love! Lazy Day - What is your #CurrentRead that you can laze around with all day? #FunkoFriday - or some other silly toy that should be for kids, but really do you ever get too old for toys? What do we need to gush over in September?? Share your ideas in the comments! Share this on this on Twitter! This looks great! Can't wait to participate!